Let’s face it: doing chores is a drag. But Black & Decker aims to add a dose of fun to the mix with its new Orb-It cordless vacuum cleaner. As you might have guessed, the Orb-It is shaped like, well, an orb. When powered off, the mini vacuum looks nothing like any other vacuum cleaner we’ve ever seen. The handle and nozzle fold in, hiding the Orbi-It’s true functionality. If you didn’t know it was a mini vacuum cleaner, you would never guess it. To start up the Orb-It, simple pull out the handle, and the nozzle automatically opens as well. 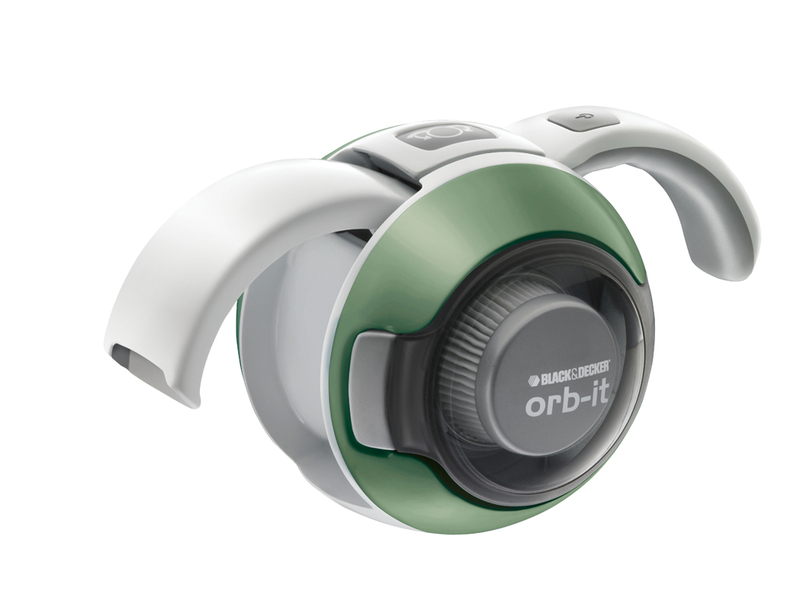 The Orb-It can run for up to 8 minutes on a single charge of its lithium ion battery. The vacuum also comes with a 360-degree charging station, that actually has some style of its own. This means you can charge the Orb-It on your kitchen counter, for instance, without making the place look unsightly. A blue LED indicator light flashes while charging, and turns solid when the battery is fully powered. At only 1.7 pounds, the Orb-It is light enough to clean up mini messes with ease. The dirt and grime land in the Orb-It’s 180ml dust bowl, which can be easily emptied just by opening the clear cover and pouring out the filth. And the included attachments make cleaning out your grimy keyboard a breeze. The Orb-It comes in a variety of colors, including green, red, blue and black. Unfortunately, the product is currently only available in Europe, so all of you American clean freaks will just have to wait your turn. We haven’t yet heard when the US release will be. Send Twitter some feed back, but keep it short!